The first stage in bike training in Scotland is to complete the Compulsory Basic Training course, sometimes called the CBT test. At Harley’s Rider Training we want to make sure this is an enjoyable experience that you successfully complete first time so we recommend that you take advantage of our Free Assessment Lesson. Read more about Free Assessment Lesson. The purpose of this lesson is to prepare you for CBT. Read more about pre CBT. Motorcycle CBT was introduced in December 1990 with the aim of reducing motorcycling accidents by ensuring that everyone has some basic training before being allowed on the road as a learner. The course involves 5 modules and usually can be completed in one day (depending upon experience). Read more about CBT. 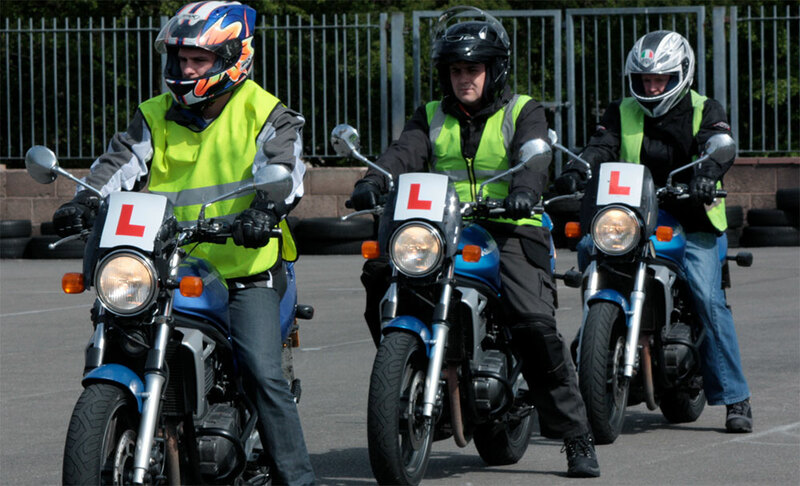 If you are under 19 or are looking for the most cost-effective motorcycle licence the Restricted Licence A1 (125cc) is the motorcycle course for you. Read more about getting your restricted licence. If you are over 19 or under 24 you are are looking for the A2 restricted motorcycle licence. The Licence A1 (125cc) is the motorcycle course for you. Read more about getting your restricted A2 licence. If you wish to have a full unrestricted licence and you are over 24 then you can take the Direct Access Scheme. This means you take the exact same motorcycle test as the restricted licence A2 except using a larger machine (600cc). You can do this at 21years old provided you have held your A2 licence for 2 years. Read more about getting your full unrestricted licence.